We’re starting to see a few more of the Major Cycleways taking shape now, at least on paper. The first of a number of significant cycleways coming soon is now out for consultation; the Little River Link connections through Addington and Middleton. This $6 million project features 1.4km of new cycleway, 1.0km of improved cycleway, and four (count ’em: four!) new signalised cycle crossings. Let’s have a look at what is proposed, starting from town and heading outwards (apologies for the quality of some of the plans; whoever produced the consultation booklet has done a poor job of importing the plans at a high resolution). 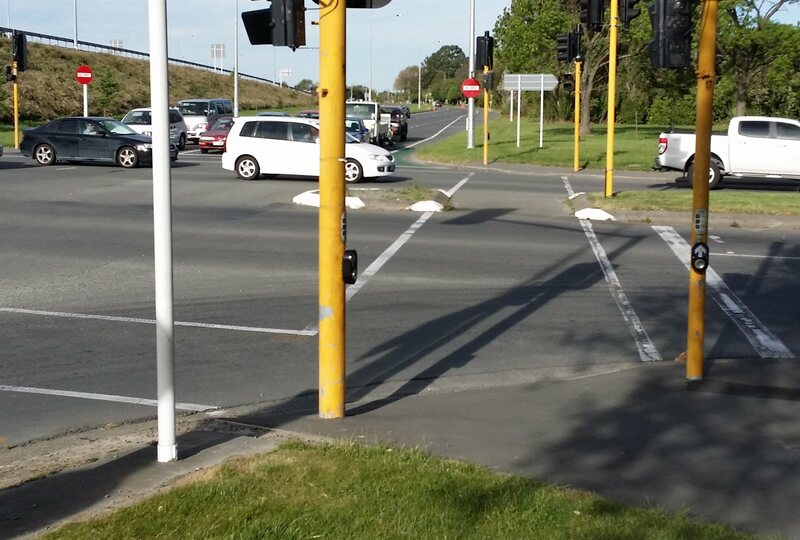 The project starts at the new cycle crossing from Hagley Park across Moorhouse Ave into Grove Rd. A new 3m-wide two-way cycleway (like the new one on Matai St E) will run the length of Grove Rd towards Church Square, with a simple non-priority crossing at the Harman St roundabout (given the relatively quiet volumes on Harman, to be traffic calmed even further, this should be OK for now). 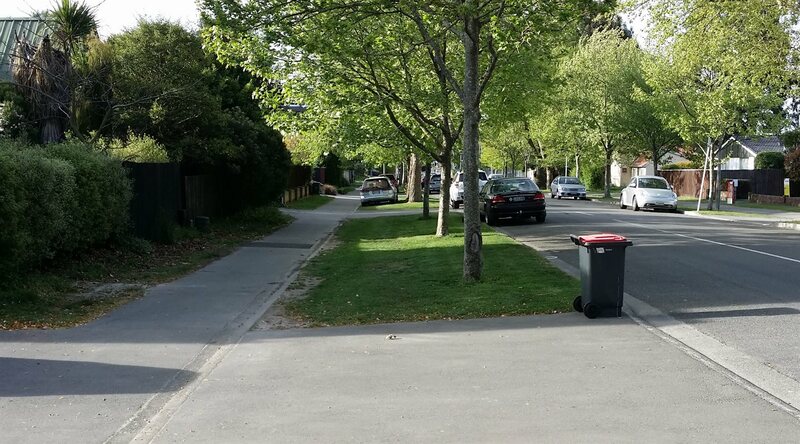 It’s going to be quite the squeeze to put the cycleway in between the existing trees and the street. To help fit it in, some on-street parking will be removed so that the kerb lines can be shifted over. The cycleway skirts around the western edge of Church Square to then run along Collins St. Cyclists will have priority over the minor side-streets encountered, with raised platforms helping to reinforce that. 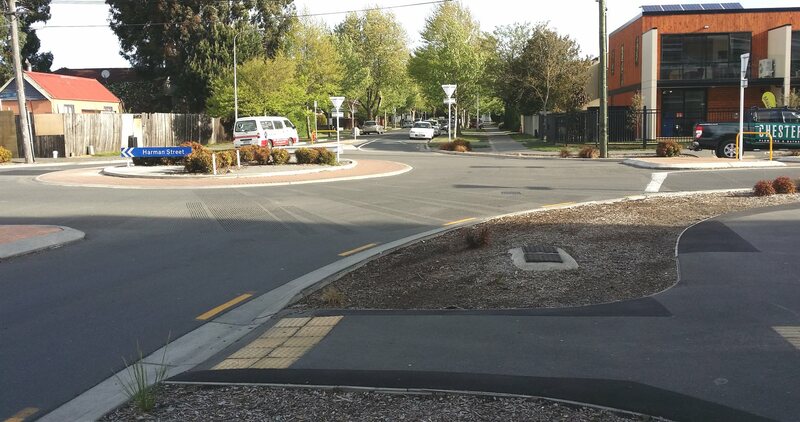 At Brougham St, the existing ridiculous dog-leg crossing will be replaced with a direct signalised cycle crossing and less tortuous two-stage pedestrian crossing. There are also options being presented for how to treat the Collins St connection, due to rat-running traffic. 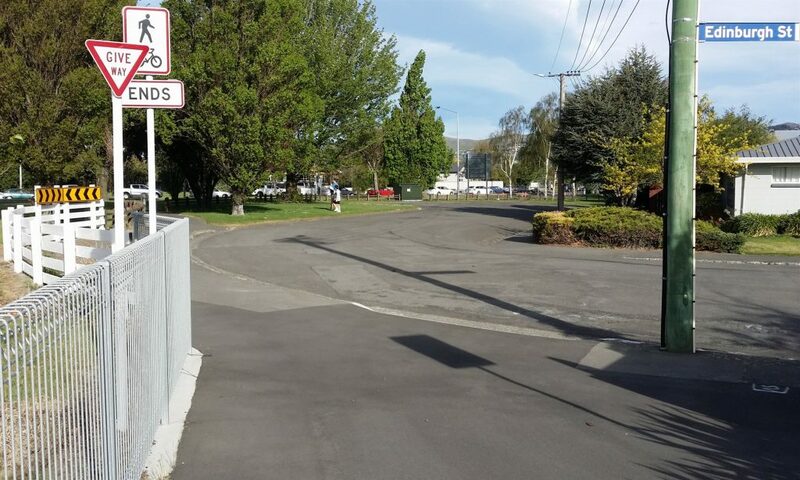 The public are being asked whether to retain the existing left-in/left-out connection to Brougham, make Collins St exit only to Brougham, or turn it into a cul-de-sac cut off from Brougham. 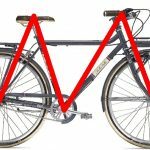 Improved crossings of Brougham St – but what to do about Collins St? Once across Brougham St, a new two-way cycleway will run along Jerrold St Sth to the Barrington St intersection (about time…). A new signalised crossing phase will allow you to get across Barrington St to a short new pathway connecting to the start of the existing Southern Motorway cycleway. 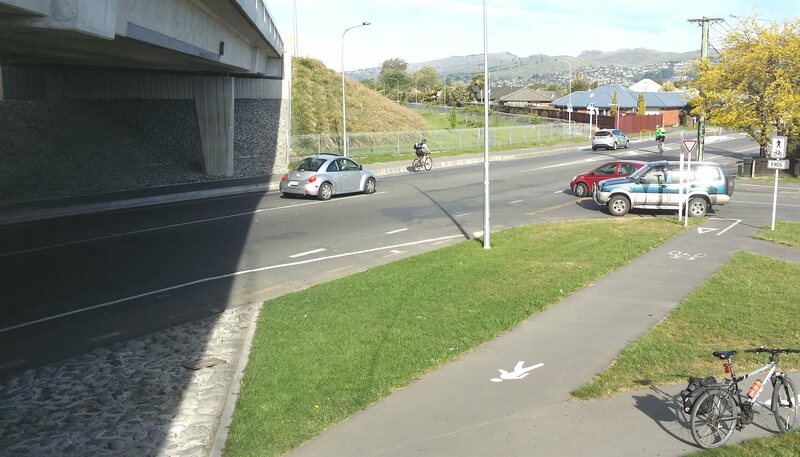 One thing I tend to think about when looking at projects like this is whether all movements away from the main cycleway route have also been adequately catered for. E.g. what if you want to bike from Collins St across Brougham to Simeon St? The pathway connections are not completely obvious heading south. Similarly, anyone riding to/from Barrington St south doesn’t have an obvious way to get easily onto the cycleway east. It would also make sense to me to improve the link from the Edinburgh St cul-de-sac directly to Barrington St south of the intersection, as it’s a natural desire line (currently a normal footpath that gets a lot of biking use). A new pathway to the left, but how about a connection to Barrington St straight ahead? 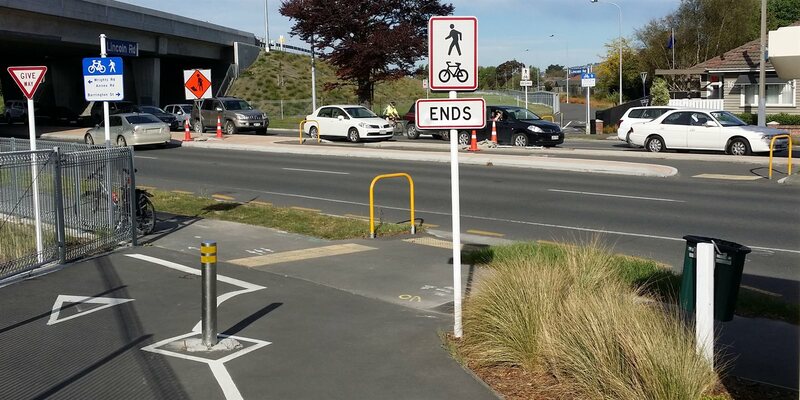 Once on the Southern Motorway cycleway, there are two crossing improvements that will no doubt be appreciated. Firstly at Lincoln Rd, a new signalised crossing will be installed. Again, it will be a combination of a single-stage cycle crossing with a two-stage pedestrian crossing, similar to the new one at Matai/Deans (hopefully it will mean we can get rid of those silly “cycleway ends” signs on either side of the road too…). At Wrights Rd, another signalised crossing will help to simplify getting across this increasingly busy route (riders along Wrights Rd will also no doubt appreciate the new cycle lanes through there). This new crossing will be just north of Hillmorton St, under the motorway overbridge. I do hope that some lighting is considered so that there aren’t problems due to cyclists suddenly appearing from the shadows under the bridge. I also worry a little about the sharp right angles that riders are expected to perform at some of these crossings. The final piece of work in this project is a complete widening of the existing shared pathway running alongside the motorway from Wrights Rd to Annex Rd. The new facility will now be 3.5m wide, with upgraded lighting and path behaviour signage as well. I hope also that the new pavement will be designed to avoid some of the flooding that has affected this route in the past. It’s great to see what is proposed for this project. 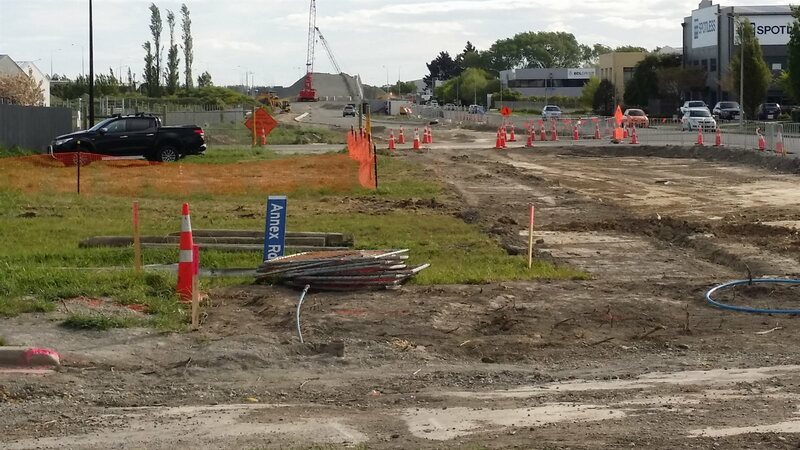 When the Wigram-Magdala Link bridge is also completed, there will be a continuous cycleway all the way from central city out to Halswell, Hornby and beyond (dare I say, even Little River…). It does seem a little frustrating that some of the improvements weren’t done anyway as part of the Southern Motorway Cycleway works, but I guess better late than never. Consultation on this project closes 5pm on Tue 10th Nov, so make sure you have your say. If you’re interested in finding out more, you can also come along to the drop-in info session this Tuesday 27th Oct, at St Mary’s Church, Church Square, between 4pm and 7pm. What do you think of the proposed Little River Link works? This is an excellent summary of the proposal!! Am writing in to recommend that future consultations look like this !!! 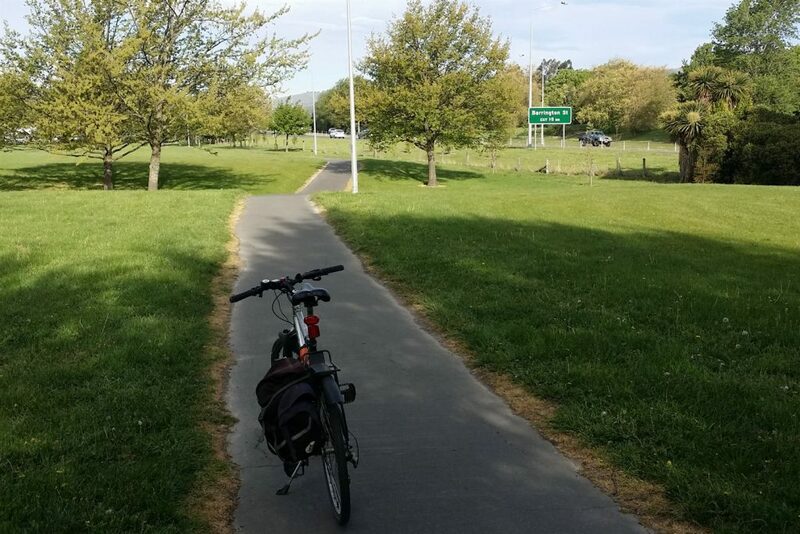 You’ll have a couple of options to get there, because this Little River Link will get you via pathways to Prebbleton and Lincoln, and ultimately onto Motukarara and beyond as part of the Little River Rail Trail. I can’t fathom the thinking behind this. It makes far more sense to me to keep going along Brougham St utilising the wide footpath with low pedestrian traffic and link it with Strickland/ Antigua St.
Next Next post: Cycling and the Law: What is a “Cycle”?